What happened to Roy Jones Jnr? 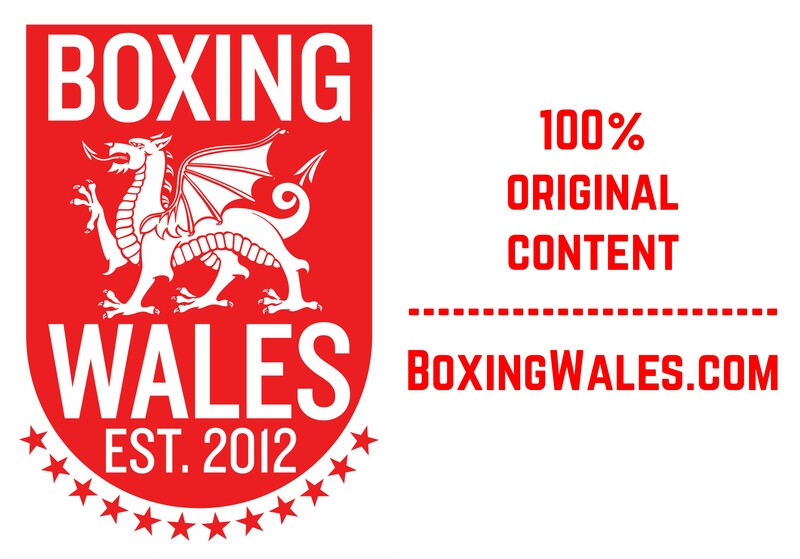 While no logical person would deny that Swansea’s Enzo Maccarinelli (40-7, 32KO) has a right to do what professional boxers do, fight and earn a living for his family, many wish it wasn’t at the expense of a faded legend. 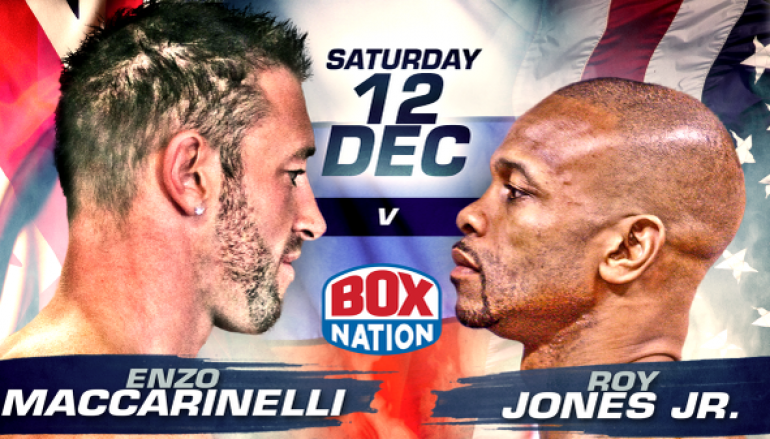 That legend is America’s now almost unrecognisable Roy Jones Jnr (62-8, 45KO), who meets Maccarinelli in Moscow on Saturday 12 December, live on BoxNation (Sky Ch. 456). Opponents were once left chasing shadows against Jones but now he appears as not much more than the shadow of the great force he used to be. Maccarinelli, a former world title-holder himself, can afford no such sympathy and he won’t. With a job to be done, there’s no margin for pity as the Welshman stands as a slight betting underdog with the odds-makers. It’s an uncomfortable truth that the idea of this scenario would have been met with ridicule until recent years, so what the hell happened to Roy Jones Jnr? Jones Jnr, a 1984 Olympic silver medalist who has historically collected belts between middleweight and heavyweight, was once considered the best boxer in the world and occupied first place in the mythically subjective pound-for-pound rankings. However, memories of those glory days are consigned to archive clips and seem a distant memory. No longer does ‘Captain Hook’ command the attention of his beloved blood thirsty entertainment industry, instead it wishes he would retire as soon as possible to preserve what’s left of his legacy, once-perceived to be untouchable. The closest the veteran 46-year-old gets to the highest stages now is as an excellent analyst for American broadcaster HBO and many can’t understand why the shoe-in first ballot Hall of Famer continues to fight. It’s been 11 years since Antonio Tarver slayed Jones Jnr’s aura of invincibility and Glen Johnson followed to bury the left-overs in equally emphatic fashion. 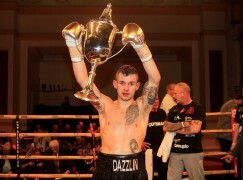 Calls for Jones to retire were rife then and Newbridge native Joe Calzaghe was hardly given any credit when he cruised to a comfortable swansong in 2008, the praise instead focusing on his career as a whole, not its dominant final instalment. If Jones was considered past his best then, it’s difficult to describe the subsequent years. After horribly hollow wins over Calzaghe victims Omar Sheika and Jeff Lacy, a self-proclaimed resurging Jones was brought back to reality when Australian puncher Danny Green, who wouldn’t have landed a glove years earlier, needed less than a round to give the legend his most humiliating moment of his 26 year career. The drought continued when arch-enemy Bernard Hopkins avenged a defeat from 17 years ago in a scrappy affair, the only memorable highlight came courtesy of a riot that required ringside police officers to intervene. The pool became shallower again in 2011 when Russian brute Dennis Lebedev iced Jones Jnr cold and when he woke up, a journey in boxing’s wastelands awaited. 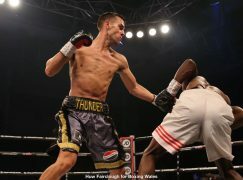 Amidst low profile appearances in the States, the tour has pit-stopped across Eastern Europe and Jones Jnr’s bouts in Russia, Poland and Latvia, allowed for a streak of lesser level wins to be strung together. The circus has led to an unlikely relationship with Vlad Hrunov, an unorthodox businessman with pockets deep enough to enable his imagination, which included a record breaking $23m purse bid for the Wladimir Klitschko v Alexander Povetkin world heavyweight title fight in 2014. It’s provided Jones Jnr with a new avenue of revenue as trainer of WBA Regular super-middleweight titlist Fedor Chudinov and he likes the Soviet lifestyle so much that he has even been granted dual citizenship with the executive permission of Russian President, Vladimir Putin. All the twists and turns of the road have led to Maccarinelli, seemingly hungrier than ever and certainly smarter. 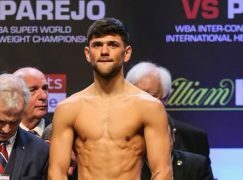 Like Jones, the former British, Commonwealth, European and WBO belt holder has had his own doubters but his competitive spirit provides the confidence that he can bring down the curtain on Roy Jones Jnr’s long decaying story.